New Traditional at it's finest. 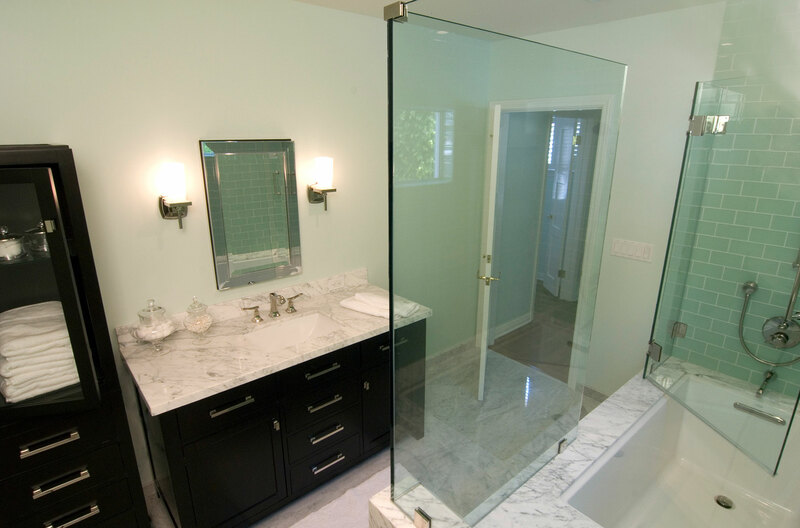 We enhanced this small bathroom by reconfiguring the room layout. 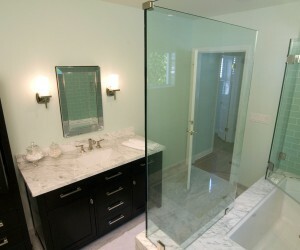 By taking advantage of every inch, we provided the homeowners with a spacious feeling bathroom. 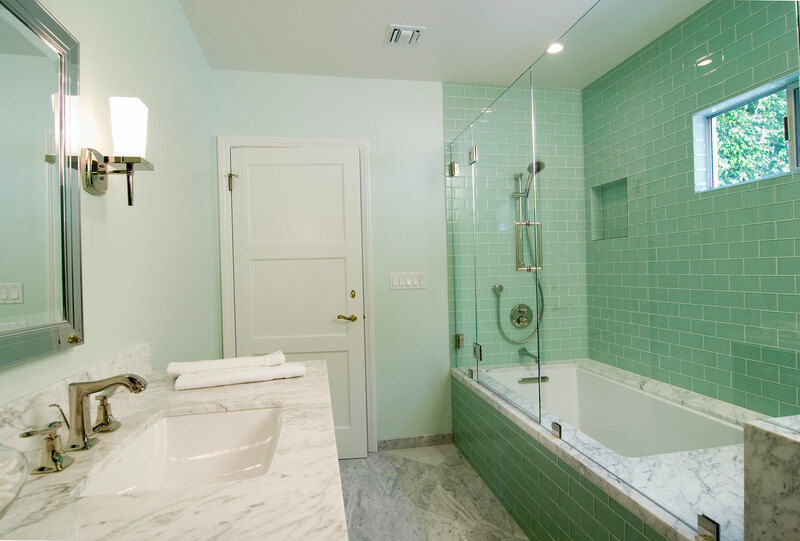 Carrara white marble and celadon glass subway tiles create reflective surfaces that bounce light around and give the room a feeling of openness.